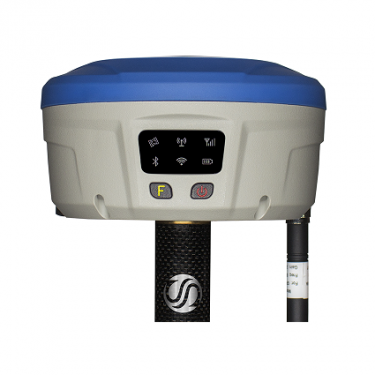 The S9i Intelligent GNSS receiver from Stonex has reached End of Life (EOL) and has been replaced by the new S900 GNSS receiver. The Stonex S9i Intelligent GNSS receiver is the rugged, reliable and fast receiver with the most advanced wireless communication system. It has integrated TX/RX UHF radiomodem, with selectable frequencies and output power. The S9i is the perfect tool for a Base + Rover system and has an IP67 rating. The S9i intelligent GNSS receiver establishes a new milestone and clarifies the gap between Stonex and its imitators. It has a dual slot for two smart hot swappable batteries that provide up to 12 hours of life. The same battery is used on the Stonex controllers S4II C/H and on S9i. The led bar on the battery can be directly used to check the power level or can be seen on the controller. The S9i GNSS receiver has the most advanced wireless communication system with high speed Five Bands UMTS/HSPA+ (WCDMA/FDD) mobile data connection capability. 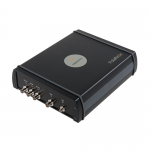 This ensures rapid transfer of differential data in several formats with reliable internet connection and very low latency. It has a compact structure which always allow reliable data flow to the controller through its long-range Bluetooth and Wi-Fi modules. The S9i survives even after a 2 m drop on hard surface due to its high shock resistance and IP67 rating. Maximum strength with water and dust resistance is guaranteed in harsh environments. This receiver is capable of high accuracy measurements even in urban canyons and under bushy vegetation with the presence of new Ceramic zero-phase-shift multi-system antenna and supports L-band reception. The extremely short initialization period saves users time. When the GPS signal is lost, the advanced Stonex technology used in the S9i dramatically minimizes the re-initialization time. 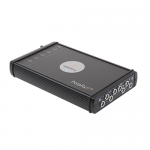 The S9i receiver is compatible with many common field software packages, but the best performance can be achieved using Stonex specific software like SURPAD, CUBE and CUBE T.
Waterproof/Dustproof: IP67. Protected from temporary immersion to depth pf 1 meter. 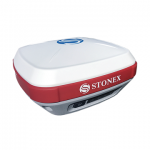 The S9i intelligent GNSS receiver from Stonex is available through TerrisGPS. If you would like more information regarding this product, feel free to get in touch with us by completing the Request Pricing form.